... and the new: Manitou's 500,000th special-edition MLT 735 telehandler. French material handling equipment manufacturer The Manitou Group has announced that 2015 will see the production of the group’s 500,000th machine, and that it will mark the occasion with the release of a special-edition MLT 735 telehandler. Manitou announced the manufacturing milestone at the SIMA agricultural trade show held in Paris earlier this month, and showed an MLT 735 telehandler in ‘special edition’ colours to mark the occasion. The machine was such a hit with show-goers that Manitou says it will now produce a limited number of 80 units in the new colours stamped ‘500,000th’. Delivery of the special edition MLT 735s will begin in April. Manitou says it will extend the celebration to the rest of the world between now and July, with Australian customers being invited to a series of events and open days at Manitou dealers across the country. These will join other celebration events already underway across France, Germany, Spain and the UK. The Manitou Group began life back in 1953 as the Braud-Faucheux company, a farming equipment manufacturing business run by Marcel Braud and his family. The company’s breakthrough came in 1958, when Marcel Braud had the idea to attach a lifting mast and hydraulic steering to a tractor body, allowing lifting work to be done in rough terrain. Braud called his hybrid machine the Manitou, and the invention catapulted the company to global acclaim. 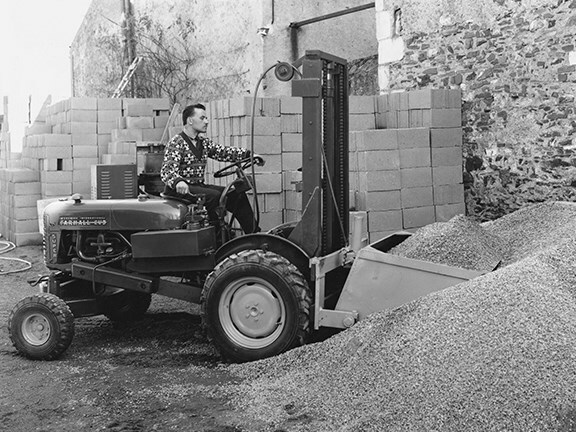 With the success of the Manitou rough terrain forklift, the company began expanding its business outside of its native France and was soon exporting its machines to markets all over the world. 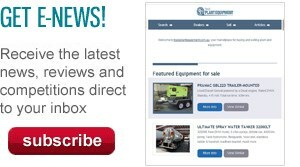 This success led to the acquisition of other equipment manufacturers, such as LOC and Edge Attachments (manufacturers of material handling equipment and compact attachments respectively). These acquisitions have seen production skyrocket in recent years. In 2004, total production had hit the 200,000 unit mark but by 2010 that number had jumped to 300,000. The takeover in 2008 of US compact equipment manufacturer Gehl saw production ramp up even further as Manitou looked to push into the lucrative and expansive North American market. In total the group has five exclusive brands under its wings: LOC, Edge Attachments, Gehl, Mustang and the eponymous Manitou brand. 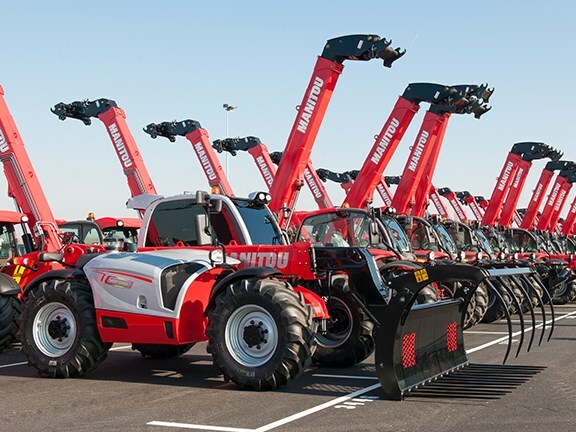 Although still headquartered in France, the modern Manitou Group is a global business reporting total revenue of €1.176 billion (AUD$1.630 billion) for 2013 with 74 percent of sales generated abroad. Today, the Manitou Group sells its machines through a network of 1400 dealers in 120 countries and employs over 3300 people. The group has been publicly listed since 1984, but Manitou still boasts it is a family-owned company as 65 percent of the shares are controlled by descendants of the Braud family. Manitou Group equipment is used across a wide range of industries including agriculture, construction, materials handling and warehousing. Manitou has even secured the contract for its telehandlers to act as track-clearing machines for the 2015 Formula 1 season. Click here to find Manitou telescopic handlers for sale. Click here to look up Manitou telescopic handlers specifications.